They often say good things come in small packages and this book illustrates that. Seldom do we find a detailed history of the skirmish line and the fighting that took place there. 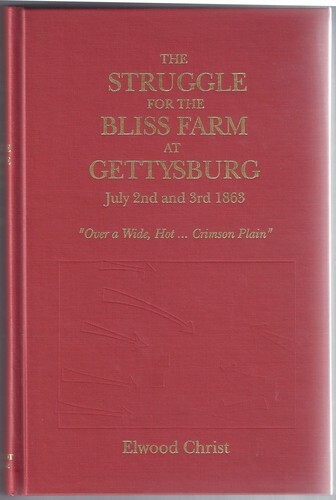 Bliss had the misfortune to own a fine farm between the lines during the battle of Gettysburg. From his barn and buildings, the Confederates could fire at the Union line on Cemetery Ridge. If the Union held the farm, they would have advance warning of Confederate attacks and restrict their skirmish lines freedom of movement. Both sides understood that it was necessary to hold the Bliss Farm and for thirty-two hours, they fought to do so. This is a history of that fight or as the book says, a “small epic” hidden inside a much larger story. This is not a battle of brigades but of companies. Forty, fifty or a hundred men working their way forward in small rushes trying to take the farm. On the other side, forty, fifty or a hundred men defending the farm. Fences, trees, the bliss home, wood piles, outbuildings and over all the bank barn become landmarks in a recurring series of battles. This is not the straight lines advancing, but small groups of men working forward seeking small advantages that accumulate into victory. We seldom get a glimpse of this type of Civil War fighting which makes this book more rewarding and increases our understanding of what combat was like. 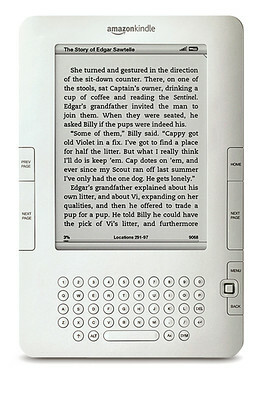 The book has sufficient maps to make the fighting understandable. A series of illustrations introduce many of the men involved, putting a face to the name. The addition of maps and photos of the site in 1992 give us points of reference to find the remains of the farm during visits to the area. Appendix F tells of the fate of the Bliss family and shows the cost of war for the civilian population. 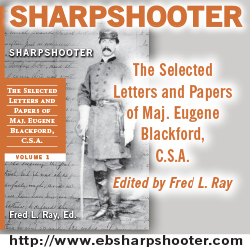 This well-written book covers an unknown subject with insights into the small scale fighting of the skirmish line. It is a valuable addition to your Civil War library.